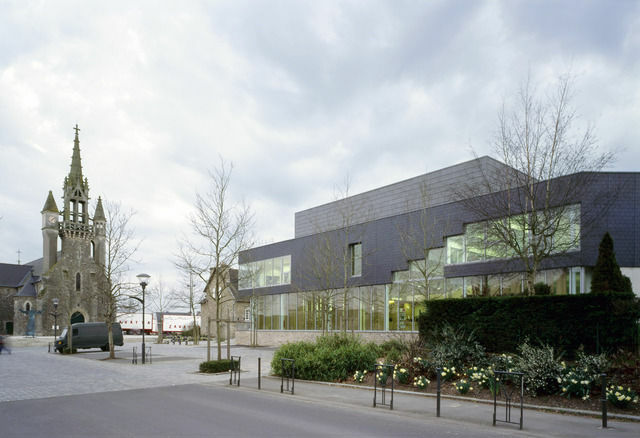 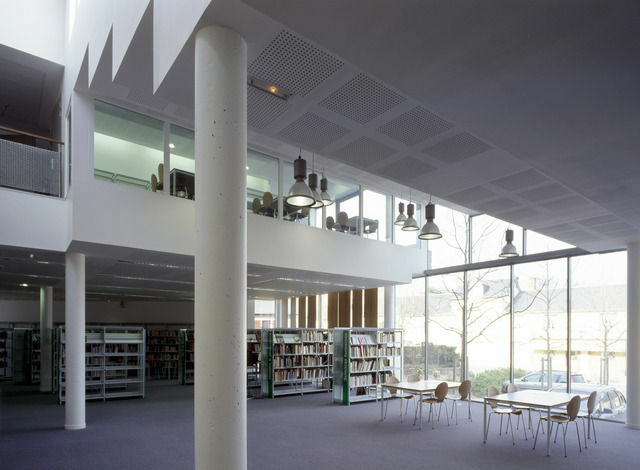 The new Media Library and Auditorium in Thorigné-Fouillard (Rennes) involve the transformation, renovation, and extension of the old town hall located on the Place de l’Europe, adjacent to the St Melaine church and parish house, built in the early 19th century by local architect Arthur Regnault. 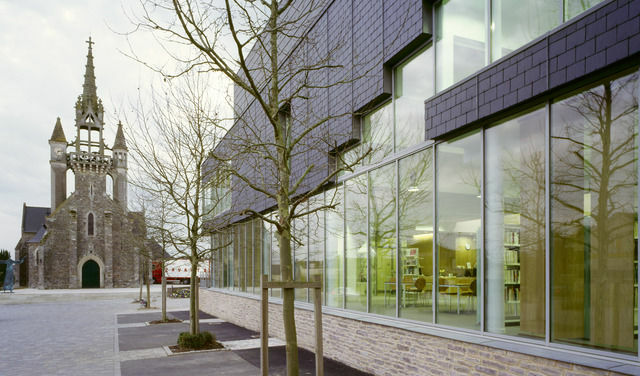 The project reappropriates the material language of the small-town Brittany built context, a fabric comprised chiefly of vertical stone and plaster surfaces and ubiquitous slate roofs. 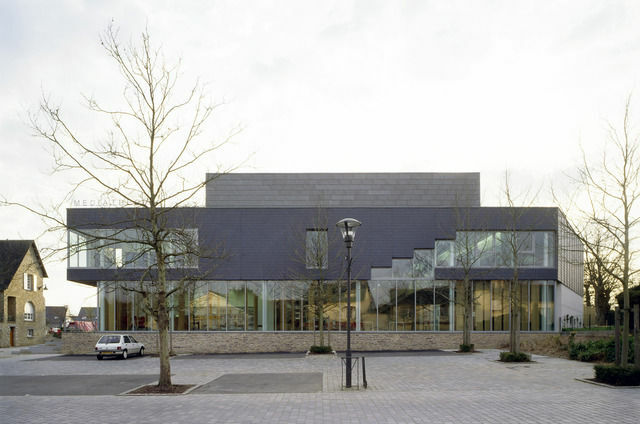 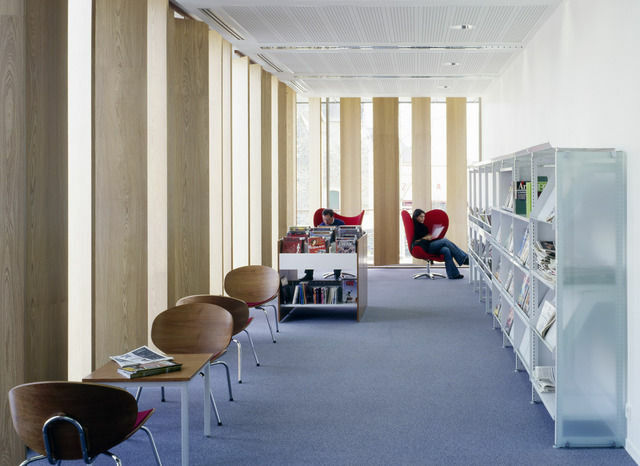 The building offers the user a «reading» of its spatial and functional orders from both outside and inside the building.The zinc and slate-clad mass of the 80-seat auditorium and adjacent foyer/exhibition space on the upper level hovers above and is infiltrated by the more fluid and transparent public consultation spaces of the media library on the ground and upper floors.